Raisin > 2018 « Revue du Vin de France »’s Grand Prize: power to natural wine! 2018 « Revue du Vin de France »’s Grand Prize: power to natural wine! 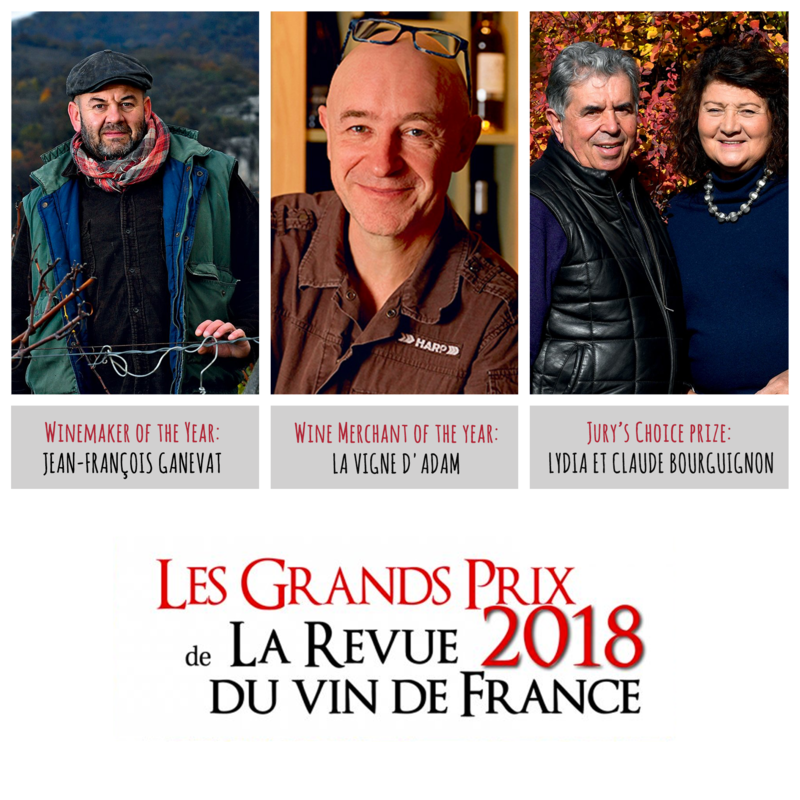 This year, the « Revue du Vin de France »’s Grand Prize is accompanying the movement and celebrates Jura genius Jean-François Ganevat as Winemaker of the Year and François Adam at La Vigne d’Adam in Plappeville (Moselle) as Wine Merchant of the year. Obviously, both are referenced in Raisin 😉 The magazine also awards the Jury’s Choice prize to « soil osteopaths » Lydia and Claude Bourguignon. The wine world is evolving and we at Raisin are delighted, long may the changes continue! The manifest good sense of a « natural » approach is slowly taking root in a world that used to deny its existence and importance. On a less positive note, the cruel absence of women in this classification raises questions and eyebrows. Editors of the Revue des Vins de France, we could provide you with a long list of talented female artists: winemakers, authors, sommeliers, bloggers, importers, editors, oenologists and wine merchants to submit 😉 So please, before the next edition, don’t hesitate to contact us! In the meantime, you can also visit the page of our friends Womendowine.